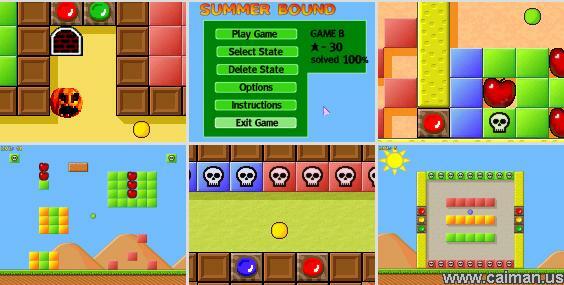 Caiman free games: Summer Bound by Karl - blueskied. This is a kind of breakout, whereby you control a colored ball. The ball can only destroy the bricks of the same color as the ball, but don't touch the skulls of the same color! And surely do not touch the skull on the wooden tiles. Summer Bound requires both dexterity and logical thinking. Beware! 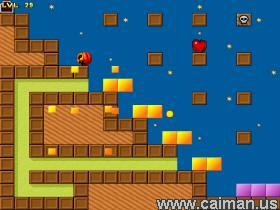 The game may start easy but later levels are very tricky. 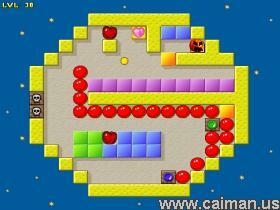 All levels are solvable, though some may look impossible at first. Direct DOWNLOAD from authors site (install) 765 kB.